We don’t give handouts; instead, we listen and provide families with the skills, training and confidence they need to help themselves. It takes time to get it right because we want to support long-lasting and sustainable change rather than provide a quick-fix. We are committed to listening to communities because we believe that this is the only way that truly lasting change comes about. 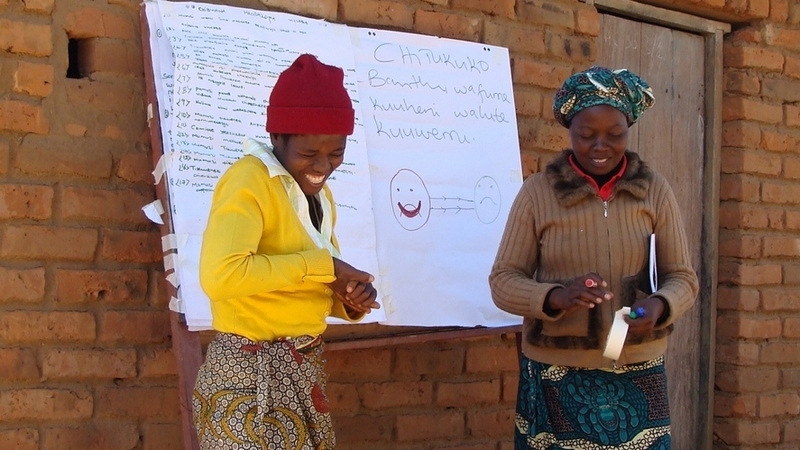 We plan with communities from the beginning, enabling them to articulate their own vision for the future. Then we work closely with them to develop a project that meets their needs. We also ensure that everyone in the community is involved from the local government to the traditional community leaders so that there is a sense of ownership by the community from the start. At the heart of our work is partnership. We work alongside communities and through local organisations that know the area and understand the issues people face. Our partners are small, grassroots organisations that are doing important and innovative work. We are dedicated to building their capacity so that they can improve the quality of their work and continue to increase their impact. We don't think that poverty is inevitable. We work at a local, national and international level to challenge the policies that prevent people from building their way out of poverty. We engage in networks and campaigns in the UK and in the countries where we work to make our voice heard on the issues that affect the families we support. We believe a world where social justice is available for all, is possible, if we work together.